Adventist Mission | "I Want to Be an Evangelist"
"I Want to Be an Evangelist"
Ghukato can’t stop talking about Jesus. When missionaries first entered India, many of them went to the northeastern states. Today much of northeastern India is predominantly Christian, and English is widely spoken. Entire villages in northeastern India may be members of the same church. If a family becomes Seventh-day Adventist, the villagers sometimes make it difficult for that family to live peacefully in the village. To Sabbath School teachers: This story is for Sabbath, Sept. 16. Click here for photos to share while telling the mission story. Ghukato [pronounced: goo-KAH-toe] can’t stop talking about Jesus. He is always on the lookout for anyone who is interested in knowing more about God. 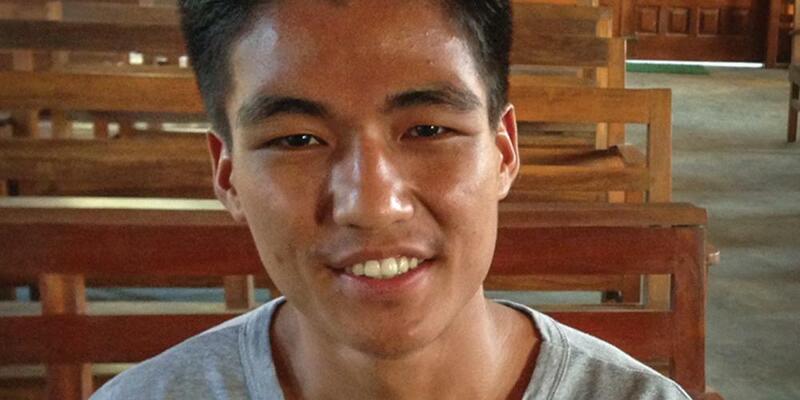 Ghukato is a student in Nagaland Adventist School in northeastern India. And not surprisingly, he wants to become an evangelist one day. But he isn’t waiting to grow up to share Jesus. Ghukato loves to tell his classmates about his love for Jesus and His Second Coming. He offers to study the Bible with them whenever he finds even a tiny interest. When Ghukato’s parents joined the Seventh-day Adventist Church a few years ago, his parents decided to send Ghukato and his younger brother to study at Nagaland Adventist School so they could learn more about God and avoid some of the problems that the boys would encounter in public school. Ghukato likes the spiritual activities on campus. He said he especially likes the first period of classes every morning when students sing, pray, and read the Bible. Ghukato helps other students with their homework and shares his faith with them whenever he can. Ghukato has found that it isn’t always easy to share his faith. The parents of many of his classmates don’t want their children attending the campus church on Saturday. But Ghukato keeps inviting them anyway. This seems to work well, and several of his classmates have come to church with him. One of his friends asked to be baptized, and Ghukato studied the Bible lessons with him. But when the boy asked his parents for permission to be baptized, they refused. Another friend went to church without his parents’ permission and got into trouble for it. They refused to let him go again. Ghukato isn’t discouraged when his school friends can’t come to church with him or don’t want to come. He is making friends away from the school campus. At a local supermarket, he has befriended a worker named Albert. He and Albert have talked about Adventists and the Sabbath. Albert has said he is too busy for church, but he happily accepts Adventist magazines and other religious literature. Ghukato’s love for God starts at home. When his mother became ill and was unable to clean the church, he urged her to stay in bed until she felt better. When she tried to get up and go to the church to clean, Ghukato hid the church key until he was able to go in her place and quietly clean the church for her until she was able to do it again. When asked about the school’s greatest need, Ghukato immediately answered dormitories for students who live far from the school. And the school agrees. Part of this quarter’s Thirteenth Sabbath Offering will help the school build a dormitory for girls. But the school also hopes to raise enough money to build a boys’ dormitory as well. Ghukato says both dormitories are important because he knows many boys who would like to study at the school but live too far away. Dormitories would give many children a safe and comfortable place to live—and give Ghukato a place to talk about his favorite topic: Jesus. Ghukato’s favorite Bible verse is Matthew 24:42, where Jesus says, “Watch therefore, for you do not know what hour your Lord is coming.” Ghukato said he wants nothing more than to be ready and waiting when Jesus comes. In the meantime, he plans to help as many of his friends as possible get ready too. Let’s pray for the Nagaland Adventist School this week. And remember to save money so that we can have a big Thirteenth Sabbath Offering on Sept. 30.